Nanosilver Socks contain about 55% cotton, 30% of antibacterial yarn Nanosilver, and rughly 15% elastane. Silver nanoparticles are embedded in the full volume of the yarn and remail active for the lifetime of the sock. The synthetic yarn wicks sweat away from the skin into the cotton component which increases comfort of wearing if at use with appropriate membrane footwear, also out of the shoe which keeps your feet drier. What are nanosilver socks great at? Nanosilver socks are strongly antibacterial to a wide range of pathogens, absorb sweat and by killing bacterial help eliminate unpleasant foot odour. Nanosilver socks are non-toxic, non-irritant, do not cause allergic reactions. Sports socks nanosilver are manufactured at high quality, with many comparable parametres as designer socks and many far superior. Nanosilver socks, whether sports or traditional designs, are intended for daily use to anyone who prefers quality socks with many unique properties such as sweat conduction, and antibacterial and odour eliminating properties. a great treat to office workers and managers. Just great for anyone whose feet sweat and produce unpleasant odour. Nanosilver socks and their great properties and good quality have been appreciated by many customers and you will enjoy them equally as well. For a weeks hiking tour you will not need more than two pairs of socks, or when you travel on the train or plane you will be able to take your shoes off with confidence that they will be odourless. What are nanosilver socks made of and how do they work? Nanosilver socks are made of cotton with the addition of synthetic antibacterial yarn and lycra®.Silver has long been known for its antibacterial properties. Silver ions influence bacterial respiration, and disrupt electron transport chains embedded in the bacterial membrane. Due to their reaction with sulfuhydryl groups on enzymes, they prevent binding of substrates which leads to starvation of the pathogens to death .Contrary to traditional antibiotics, bacteria have not been shown to form resistance against the effects of nanosilver. Silver nanoparticles measuring 1-100nm carrying the Nanosilver trademark have been tested effective in preventing the growth of the following pathogens. Escherichia coli (E. coli), Methicillin resistant Staphylococcus aureus, Chlamydia trachomatis, Providencia stuartii, Vibrio vulnificus, Pneumobacillus, Nitrate-negative bacillus, Staphylococcus aureus, Candida albicans, Bacillus cloacae, Bacillus allantoides, Morgan's bacillus (Salmonella morgani), Pseudomonas maltophila, Pseudomonas aeruginosa, Neisseria gonorrhoeae, Bacillus subtilis, Bacillus foecalis alkaligenes, Streptococcus hemolyticus B, Citrobacter, and Salmonella paratyphi C. and more than 600 others. Are you interested nanosilver socks? Would you like to try the long known antibacterial effects of silver revived by modern technology? Choose several items from our offer. not loving our products you shouldn´t to buy them. This is simple model. From your message is known that you have no informations about our technology :-) For good start it is possible to read about technology at our web. Than you can present about "Guinea pigs" (how indecent you are!). I am affraid you are expert of nanotechnology and expecially processes. Sorry, you are absolutely wrong but this status doesn´t give you the right to persuade others about your fail. are you our customer and your statement is your experiency with our products? If not, why you write negative and not true message? If yes, standard communication channel to us is our e-mail. Dear, not knowing where you are living is very difficult to answer you with purchase. So my answer was to buy them at our on-line shop. 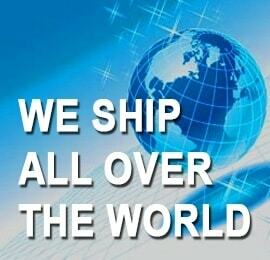 We supply worldwide and no one customer had any problem with delivery or product quality. I live in Chino hills ca. 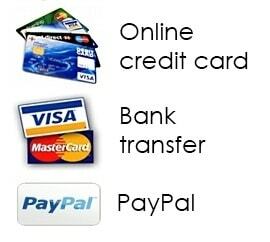 We supply worldwide so you could choose here too. I would. like to buy 4 pairs of these nanosilversocks, How can I perform the purchase since I Live in Montevideo. Uruguay. Hope to hear from you asap. with instructions. Dear Mercedes, you could buy them at our on-line shop www.nanosilver.eu. We supply all products worldwide. I would just like to say that these are the best socks that I have ever worn. I also bought a pair for my friend megan who really suffers with fungal infections, boils, blisters, athletes foot, veruccas and trench foot after a long battle in the somme. she loves them and now only needs to get one foot amputated. I was wondering how exactly your Nanosilver socks do there work because few others sellers of similar products say that it's the releasing of silver ions by oxydation of the silver embedded on the yarn (in contact with sweat or oxygen) that give the product its antibacterial properties. Is it the same for your socks or do they only release silver in form of nanoparticules ? Functionality against bacteria is through silver ions for longer period.